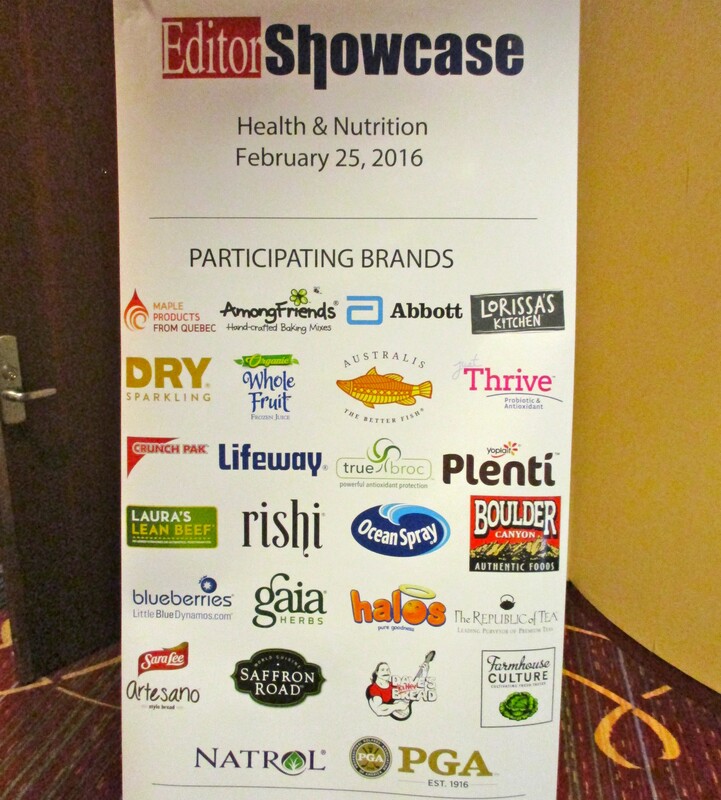 Favorite Products from Editor Showcase Health and Nutrition 2016! 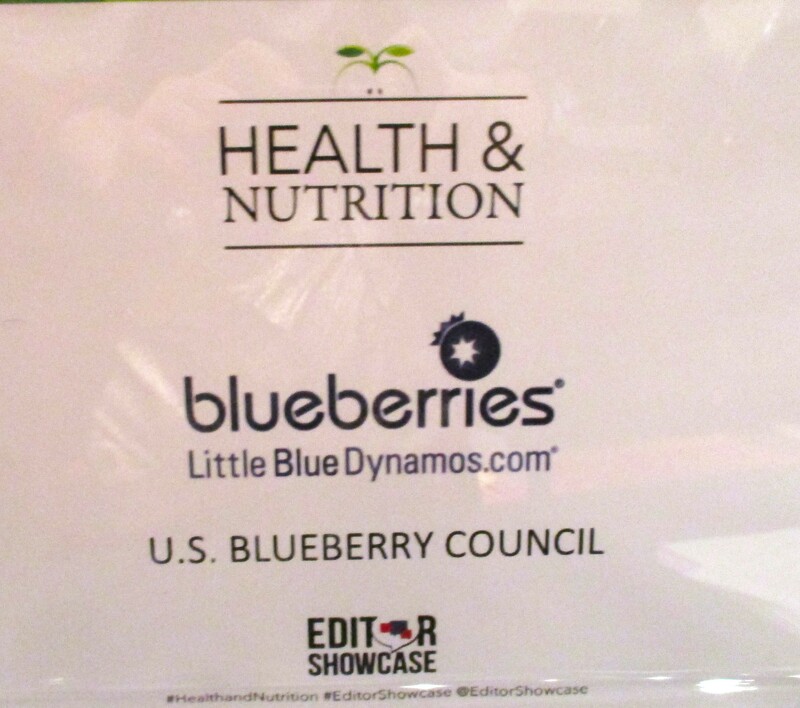 It’s been a few weeks now since we attended the fantastic Editor Showcase Health and Nutrition event at the Marriott Marquis Hotel in Times Square — our first big food show coverage of the year! 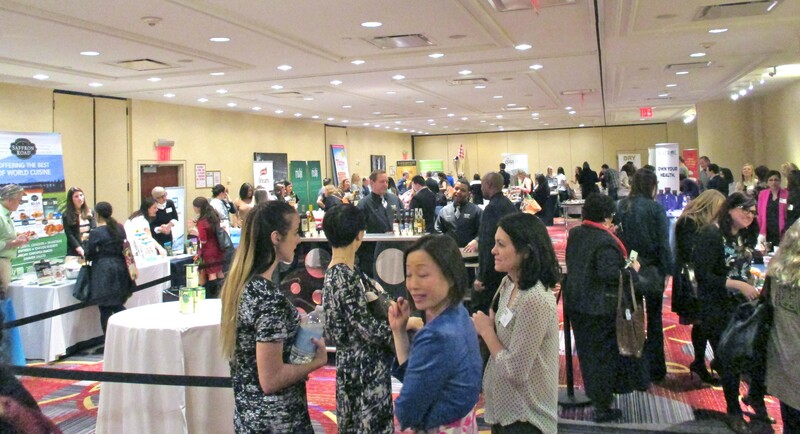 Health and Nutrition was all about showcasing brands that not only exemplify healthy eating and personal care, but also bring fun and convenience to the table. From fresh fruit and supplements to baking mixes and beverages, let’s check out some of our favorite brands and new products! 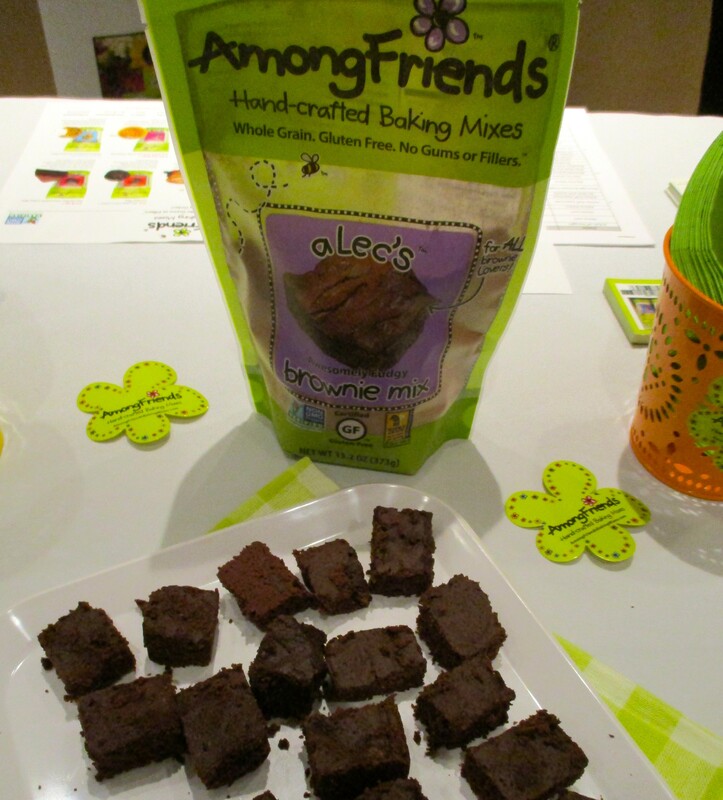 Among Friends gluten-free, hand-crafted baking mixes introduced three new mixes: Cora’s Honey Cornbread (a savory selection), Papa Toms Perfect Pancake (made with wholegrain sorghum flour, almond meal and hint of cinnamon), and Alec’s Awesomely Fudgy Brownie (seen above) — which goes from bag to baked in under 30 minutes! Homemade without the hassle! 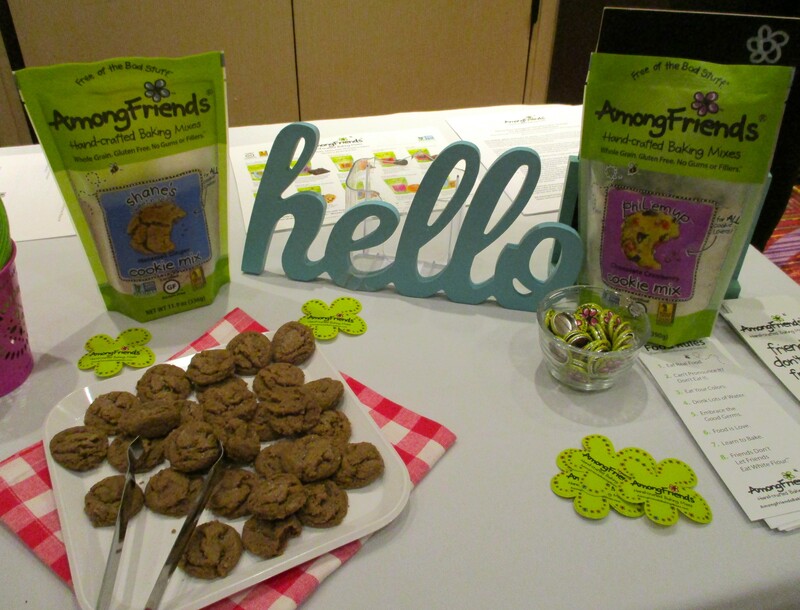 Find out more about the Among Friends product line at Among Friends Baking Mixes Dot Com! 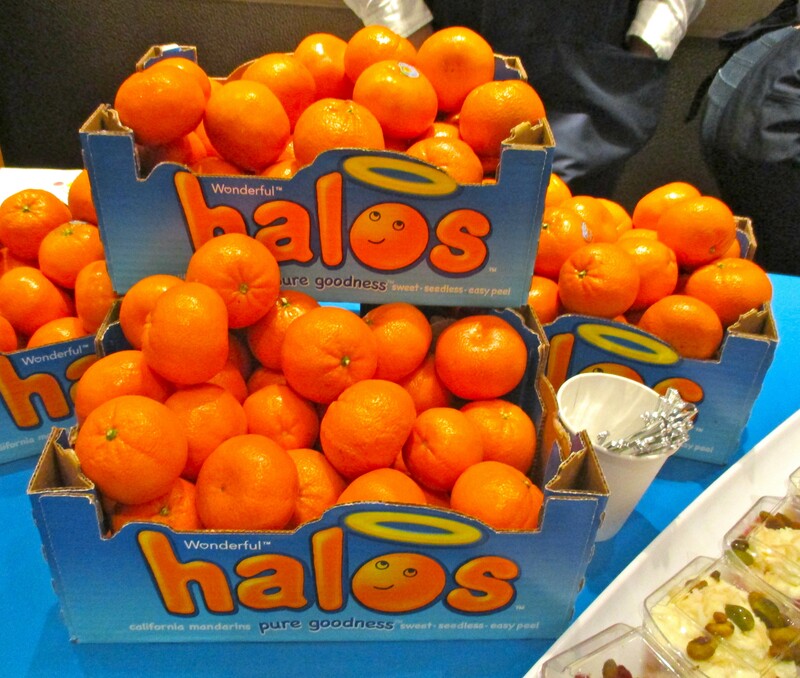 Wonderful Halos brand easy-to-peel Mandarin Oranges are perfect snacking for the spring and summer weather. 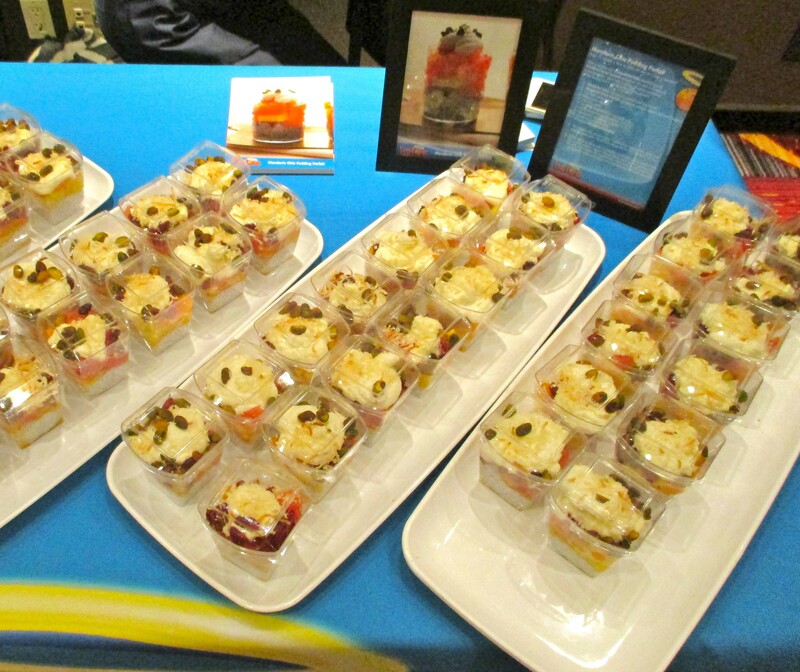 At Editor Showcase, these tiny, sweet and juicy fruits were part of a delicious Mandarin Chia Pudding Parfait that we all had the chance to taste and enjoy. This low calorie dessert is made with assorted fresh fruits, coconut, pistachios and chia seeds – very healthy! Get this and other delicious and easy recipes, and find out more about Wonderful Halos at Halos Fun Dot Com! 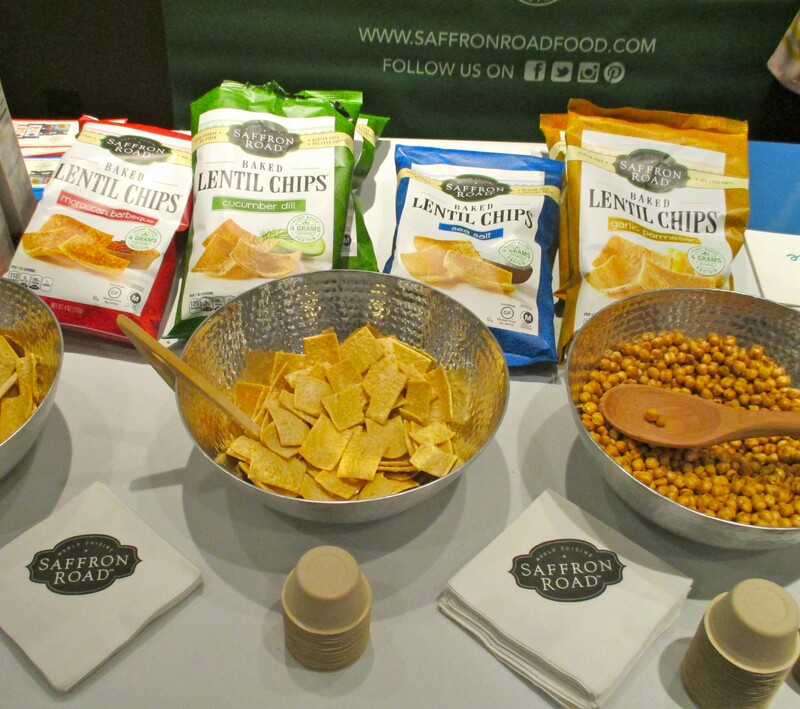 Its always nice to get reacquainted with our friends at Saffron Road and check out their new products. Featured wholesome snacks include new Baked Lentil Chips and certified Halal Lentil Crackers, organic Crunchy Chickpeas and Bean Stalks crunchy snacks, which come in a variety of popular flavors like Cheddar Cheese and BBQ. 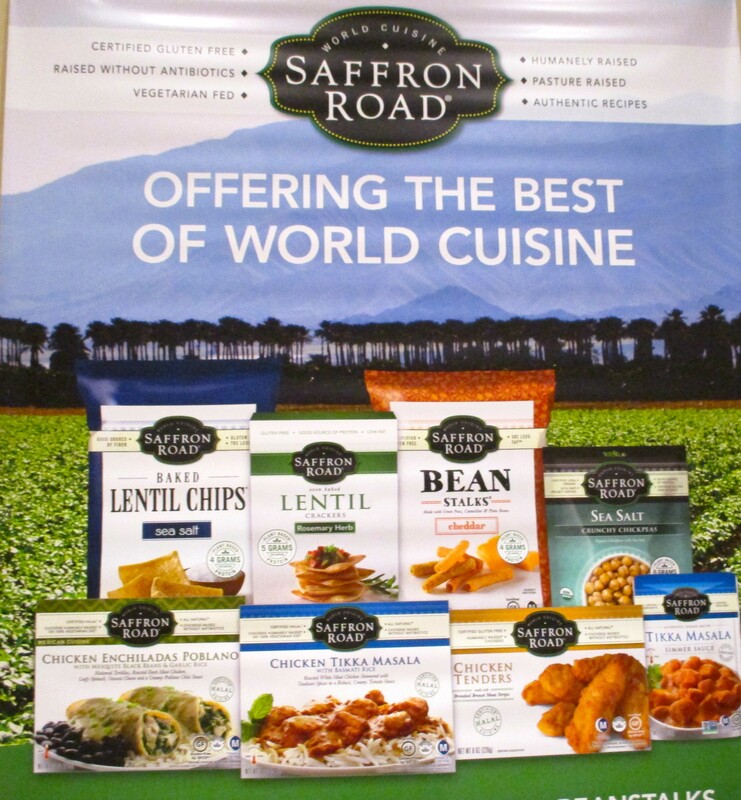 Saffron Road is also a leader in gourmet frozen entrees featuring the cuisine of India, South America and Asia. Learn more about this fine brand at Saffron Road Food Dot Com. 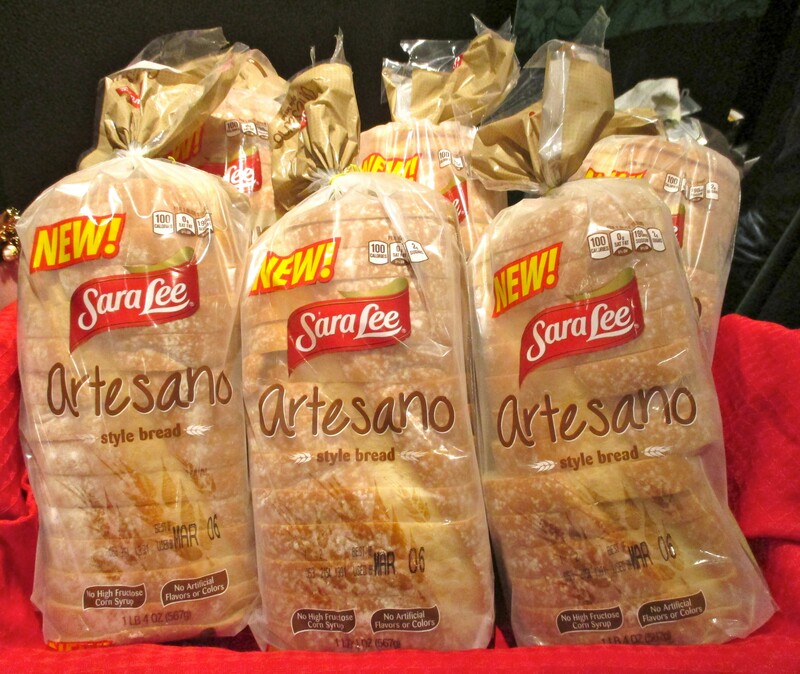 Sara Lee, a brand you know and trust for decades now, has a new Artesano Bread, which brings an indulgent quality to every sandwich on which it is made. For those who enjoy the texture and soft golden crust of white bread, but also appreciate the heartiness and flavor of an Italian bakery bread, Artesano strikes a favorable balance. 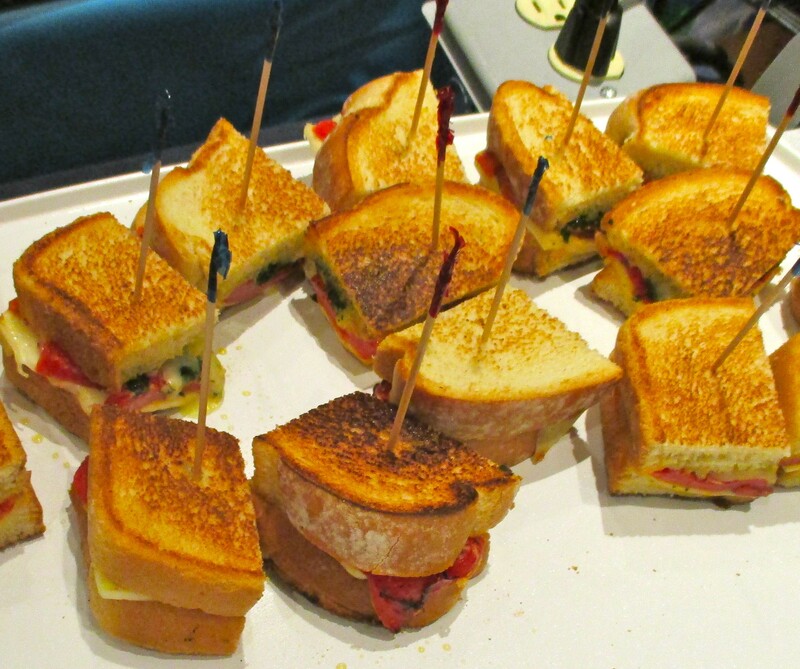 We think that Sara Lee Artisan-style Bread really elevates a grilled cheese sandwich, and would be ideal for making delicious French toast! Visit Sara Lee Bread Dot Com for recipes more information! Frozen fruit juice treats are ideal for cooling off in the warmer summer months, and if they can be all-natural, even better! 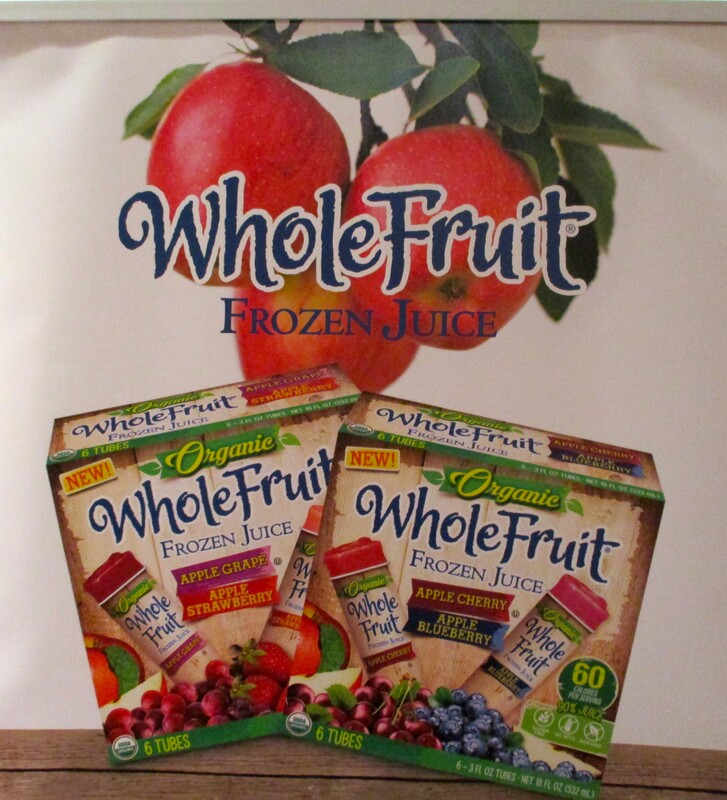 Whole Fruit Organic Juice Tubes are a new line of convenient, on-the-go snacks made with 90% organic juice! Similar to the “push-up” treats enjoyed from the neighborhood ice cream truck, each tube is fat free, only 60 calories and 100% delicious! These treats are great for an after-school snack as well! Get the skinny on the Whole Fruit product line at This Link! Another trusted and favorite brand that’s staying on-trend is Ocean Spray, who has introduced its PACt Cranberry Extract Water. Unlike most extracts, which remove and utilize only the flavoring component, the cranberry experts an Ocean Spray have found a way to extract and preserve the unique, health-promoting elements inside the cranberry, which are called called PACs (proanthocyanidins). 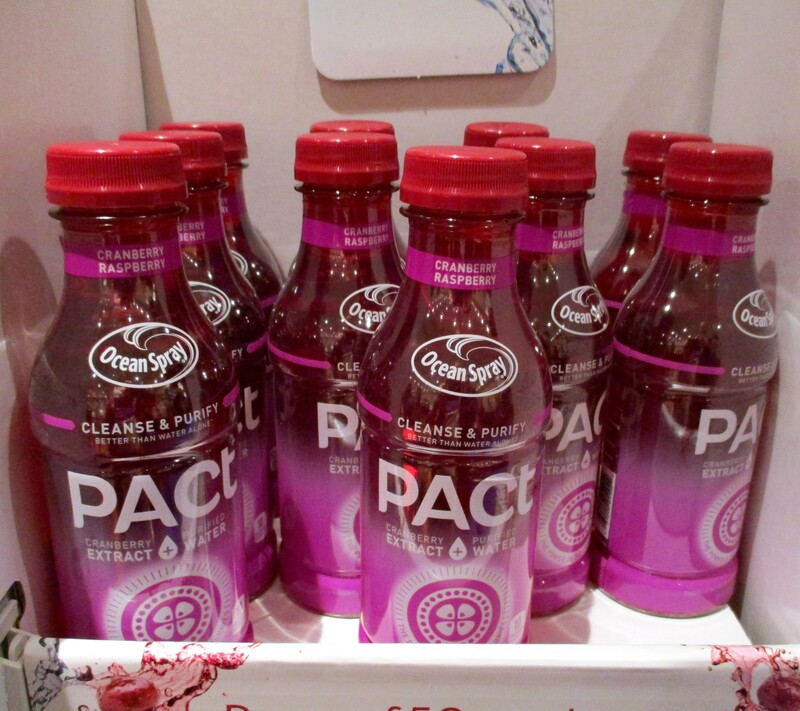 PACt extract offers more than flavor; it offers the unique cleanse and purifying health benefits of the cranberry. PACt is currently available nationwide and also on Amazon.com. Visit This Link for more information! Dave’s Killer Bread is a superior quality line of organic wholegrain breads that we were first introduced to in 2014, at another food show. The company, which is family owned, has a fascinating backstory that you can check out at This Link. 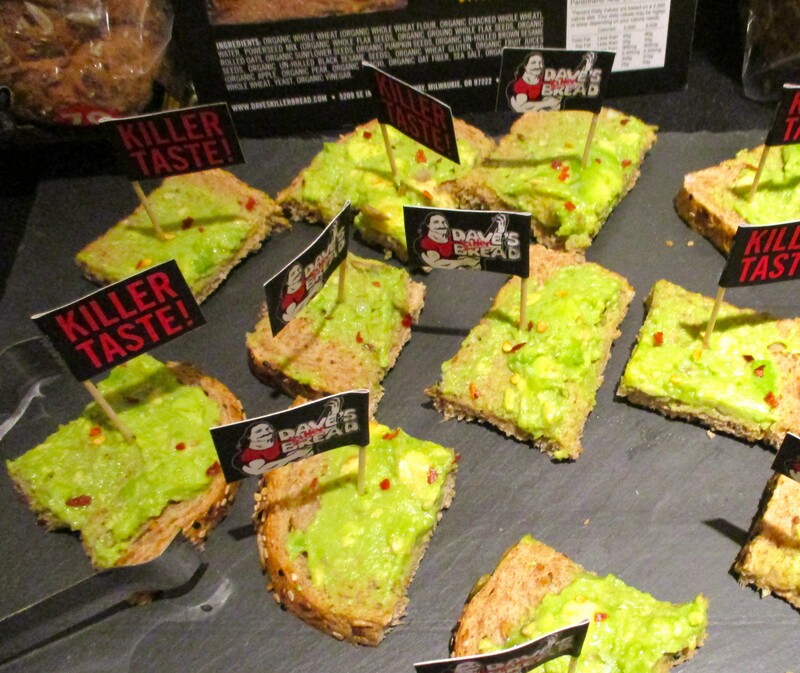 At Editor Showcase, Dave’s Killer Bread was promoting their White Bread Done Right, created from an ‘old family recipe,’ made with quinoa, rye, spelt, millet and barley, and the absence of high fructose corn syrup or bleached flour. 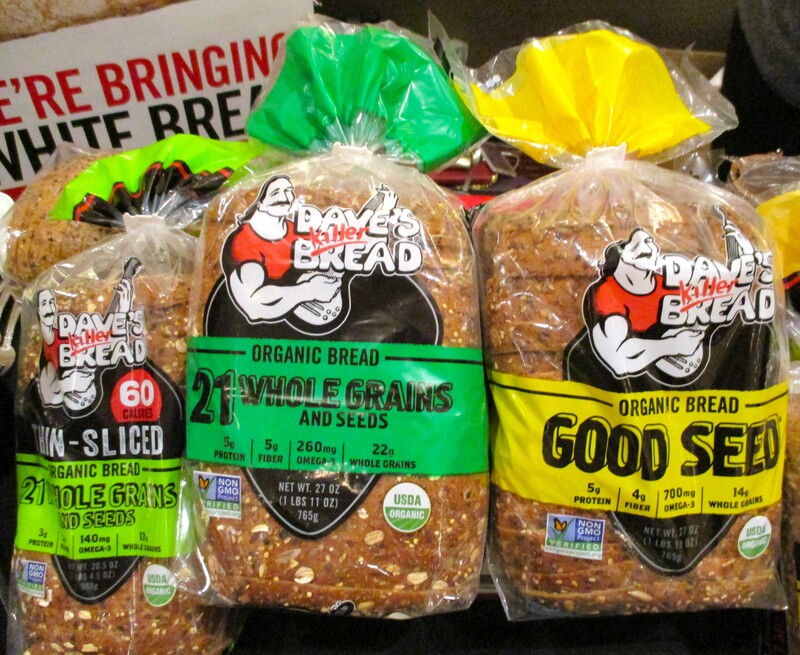 All varieties of Dave’s Bread have a moistness combined with a nutty, wholegrain texture that is just irresistible. Explore the world of Dave’s Killer Bread at This Link! 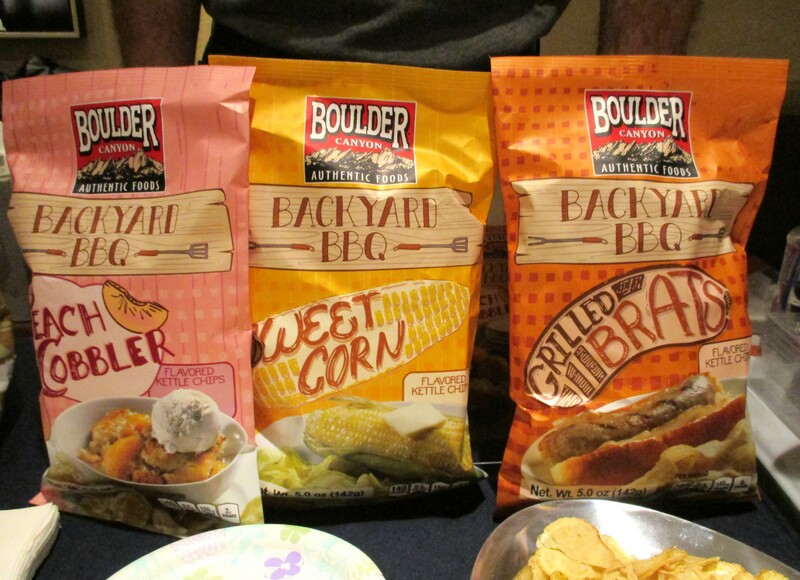 To get you really excited for summer, Boulder Canyon introduces Backyard BBQ, three new flavors of their premium kettle cooked potato chips, each inspired by one of our favorite summer foods! We personally taste-tested the Peach Cobbler, Grilled Brats and Sweet Corn kettle chips, and can attest that these crispy, super flavorful chips are a delightful treat that taste remarkably like what they are meant to! These chips should be available in stores closer to summer. Keep an eye out for their arrival at Boulder Canyon Foods Dot Com! 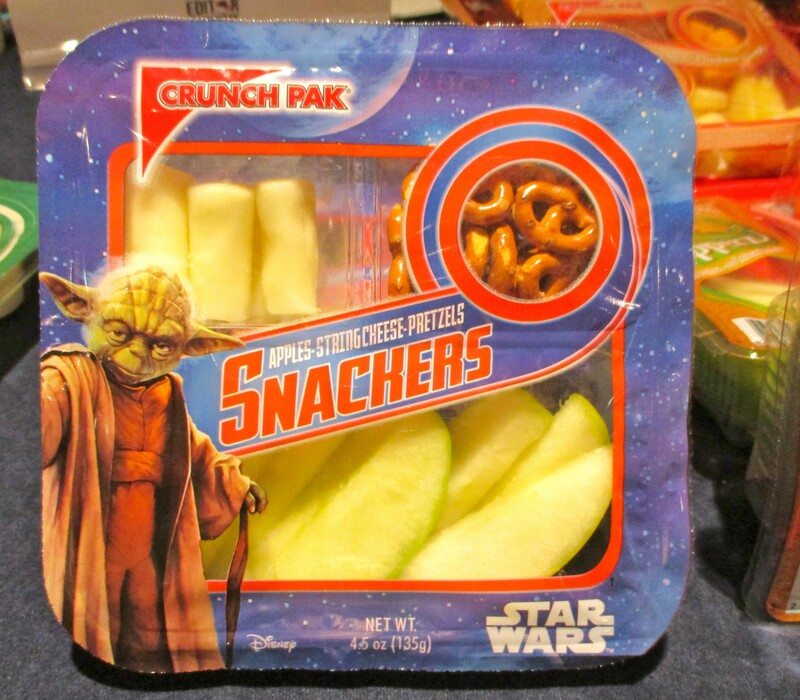 Crunch Pak is the industry leader in fresh sliced apples. Founded in 2000, Crunch Pak is committed to providing the highest quality organic and conventional sliced apples in the market. 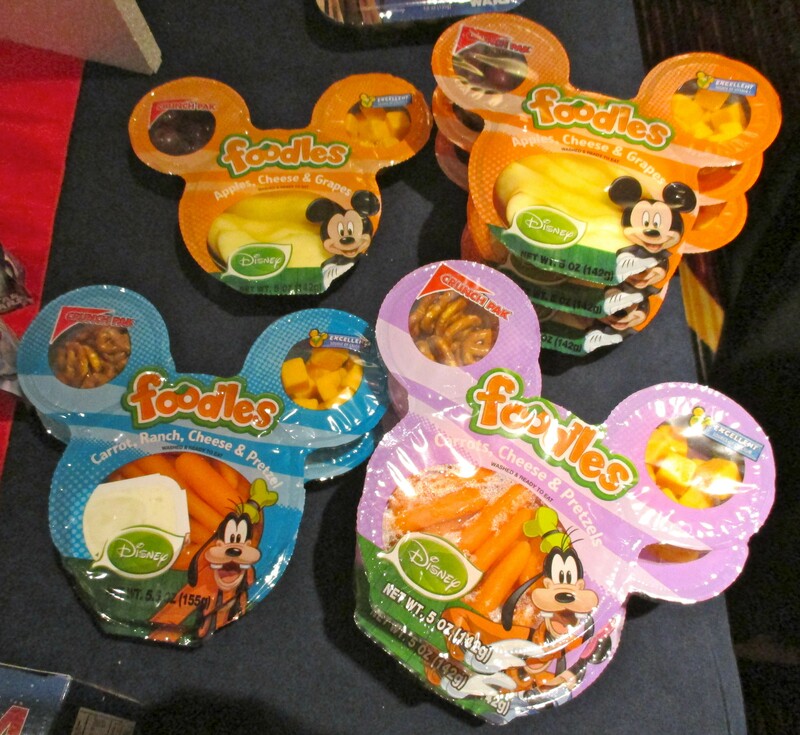 Their products include Foodles, in a Mickey Mouse-shaped packaging, which contain healthy snacks such as sweet apple slices, cheese, pretzels or other fruits or vegetable combinations — a great take-along snack for kids! Evidently, Yoda is also involved. Visit Crunch Pak Dot Com for more information! The US Blueberry Council was also on hand to educate us on our Blueberry Basics, such as how to buy, properly store, and freeze fresh blueberries — all things that you need to know! 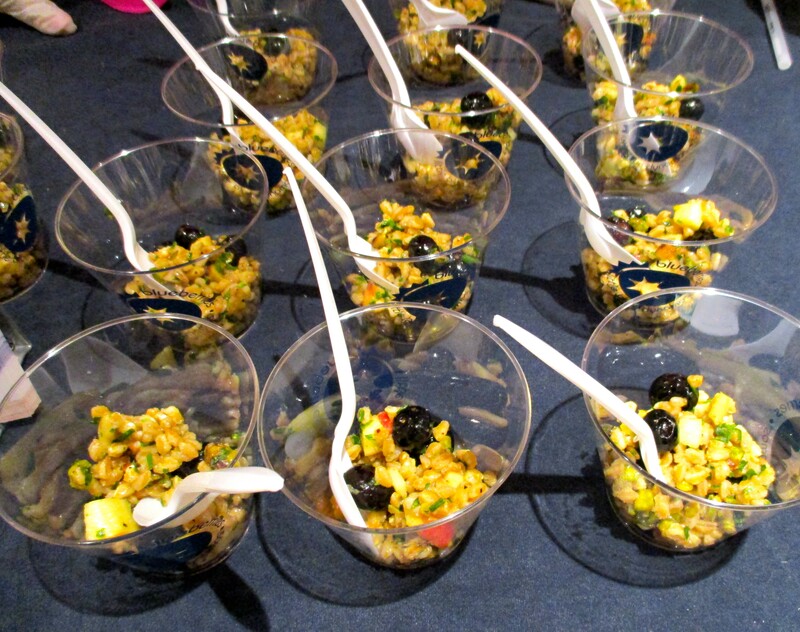 They made a tasty Blueberry and Grains Salad to share as well! Visit Blueberry Council Dot Org for lots of recipes and tips on how to cook with Blueberries, and even grow your own! And last, but not least, we must give a shout out to Natrol, makers of fine Vitamins, Minerals and Supplements. 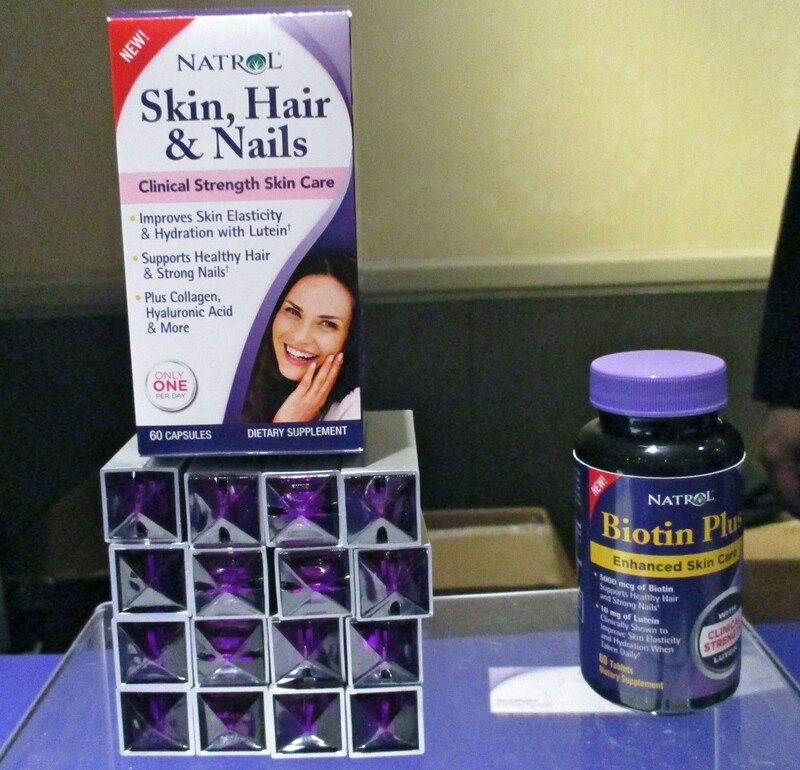 At Editor Showcase, they were promoting three of their most popular products: Melatonin (a natural, drug-free nighttime sleep aid), Biotin (promoting healthy hair and strong nails — we take it every day! ), and 5-HTP, a natural drug-free mood enhancer that also helps control appetite. Natrol gave out a fantastic swag bag containing full-size samples of all three supplements, plus a ton of cool travel accessories including a nail care kit, pill box, comfy slipper socks and a sleep mask. So awesome! 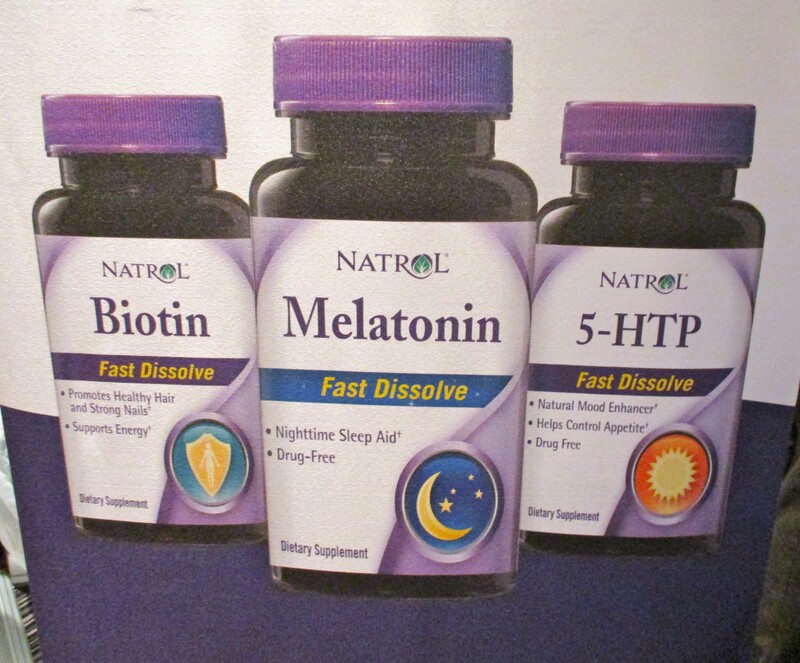 Visit Natrol Dot Com for more information on their complete line of products!